In today’s world, talk about going completely online is a topic for most businesses. The preneed industry is no different. Our consumers, as with any others, like to do research and shop online, so providing them an avenue to do this is very important. Providing options and allowing customers to shop and truly plan out their funeral is what they are looking for. In some cases, an online contact will lead to a cremation sale with very few additions, very simple and straightforward. In other cases you’ll need to provide avenues to shop for a range of items, including caskets, other merchandise, and services. In all cases you need to be prepared to serve each customer differently and provide them with the options they want so they can shop and do it on their own time. Make their online experience similar to what you provide in person. Make it easy and engaging for them to interact with you. Another key component is to continually monitor who is visiting your sites and capturing their information to ensure you can follow up. Planning and purchasing funeral services online may be difficult for some consumers, so establishing those relationships and providing ways for families to contact you if they have questions will be key to finalizing the purchase. These consumers may even opt to come and meet with you after planning most of their funeral online, because they just can’t or won’t finalize arrangements online. Be ready for this type of consumer. They will be very prepared to tell you what they want and will be looking for your help to finalize their plans. We are finding that the younger demographics, people under 40, are using “Contact Us” forms as a first contact. They include messages like: “I’m interested in pre planning. Please call me,” or “My uncle just died. I need some information. Please call me.” These consumers are more likely to send an email than make a phone call, so make sure your “Contact Us” form is on your home page or easily available on the main navigation pages. Pricing is important to these online shoppers, so please don’t leave it out. If families don’t find pricing on your website within two clicks, they will leave and find another funeral home. We do know that mobile is used more than desktop searches, so be sure to pull out your phone and count the number of clicks it takes for a person to find your pricing. If you don’t have pricing on your website and you’re not sure if you should add it, check your website analytics report. This will tell you where consumers are going on your website. The standard is #1 - Obituaries, #2 - Contact, #3 - Pricing. If you have a high bounce rate—over 50%—on your pricing page, then this tells you consumers are leaving. Marketing your online services should be no different than what you do to market your funeral home services currently. Let consumers know that they can shop and browse their options online in your direct mail campaigns, at your group presentations, in your advertising, and on your social media pages. Online shopping should fit into all of your current marketing efforts and be presented as an additional service and option you provide. Perhaps you even lead with your online shopping options in your marketing so that people know they can plan in their own time and you are ready for them when they are ready. People don’t read like they used to. Just look at your social media accounts. Compare video to text and you’ll find that posts are going to be 5 to 1, with more and more video being added all the time. A great tool you can use is an “explainer video.” These can be in the form of animation or with still photos, telling more about your product or services. 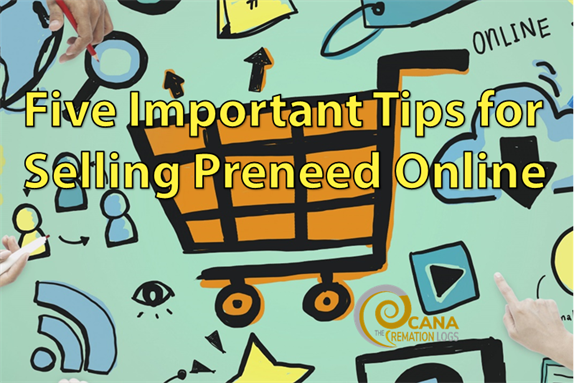 Online preneed sales may not be for everyone but providing the option to everyone will ensure that you are getting those sales from people who are ready to buy online. This doesn’t mean that you have to sacrifice your great service. It just means you are offering them a way to plan in their own time. You can still provide your great service on the website, after the sale, and while the policy is in force. This article originally appeared in The Cremationist, Vol 54, Issue 1 by the same name. Are you looking for more about creating a preneed strategy that makes a difference? The Art of Selling Cremation: A Preneed Summit is back for the second year to with a one-day intensive on today's pressing preneed topics. Join colleagues in Las Vegas on February 5th, 2019 – see the full schedule at www.cremationassociation.org/CANAheroes. 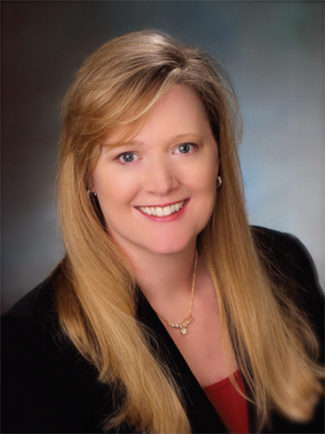 Jessica Grann oversees and leads the marketing communications team and manages all aspects of the NGL brand. 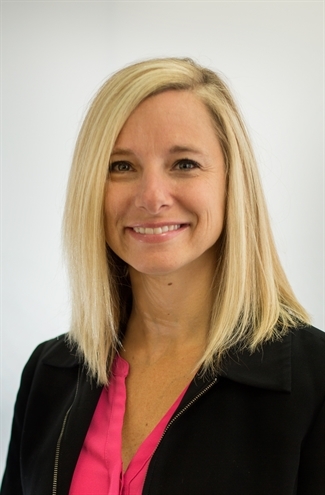 She has more than 15 years of broad marketing experience encompassing strategic planning, creative design, media planning and purchasing, direct marketing, public relations and sales promotions. Lynn Eliott founded Media Demographics in 1999 following a successful three years at Arbitron, the radio ratings company. In addition to business development and customer relations management, Media Demographics provides development, design and production of a range of projects including corporate identity programs, trade advertising, marketing collateral, direct mail campaigns, custom online surveys, web branding and site design.